Join Marilyn Doheny in her new home, Marilyn’s Historic Melrose Inn in North Carolina. 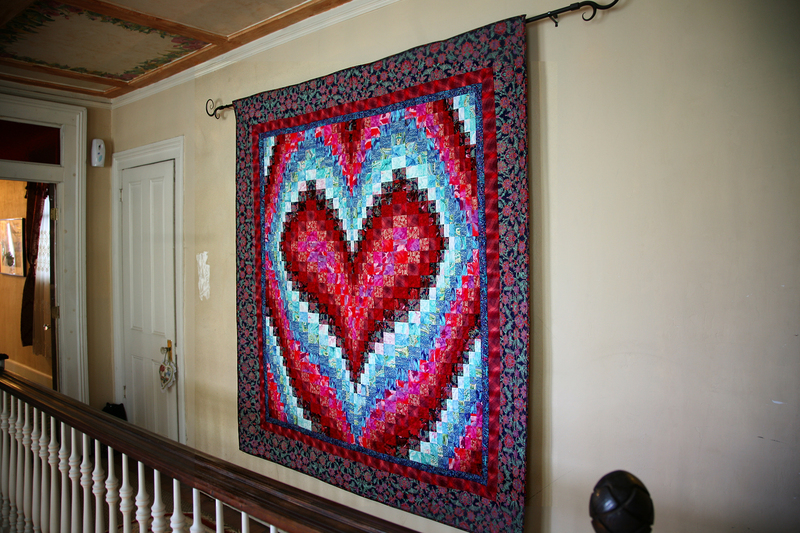 She is fulfilling her dream of having a great place for quilting retreats! Marilyn bought the historic Melrose Inn in November 2009 and moved from Seattle to Tryon, NC in January 2010. You too can have a dream come true for yourself by attending and learning some of Marilyn’s secrets to successful and beautiful quilting! The Melrose Inn is a very old building, built in 1889, with 123 years of history, personality, and charm. Marilyn has been extensively repairing, renovating, and decorating it to make her lifetime vision a reality! Spend an entire week and be dynamically creative and wildly productive. Marilyn Doheny has been a long time professional quilter, author, lecturer and judge for over 40 years. She is internationally famous and her reputation for a one-day class is that they are “Over the Top!” Just imagine what a full week with her will be like! laughter, eating healthy gourmet foods, relaxing on the front porch in the evening or in front of the stove in the cozy lounge, and meeting new quilting friends. All in her spacious new home in the foothills of the beautiful Blue Ridge Mountains in Tryon, North Carolina. All seminars feature the use of her 9 Degree Circle Wedge Rulers. Rulers (all five sizes) are available to borrow during class. Each day will be filled with learning, joy, fun, and decadent meals – Marilyn is a gourmet chef. Her class motto is, “If you are not having fun, then you are not doing it right.” Productivity, creative challenges, and riotous learning will be the signatures of every day together. Evenings are not about quilting, yet they are action packed with interactive events that will “touch, move, and inspire.” The evening programs will enrich and reward your personal life for years to come. 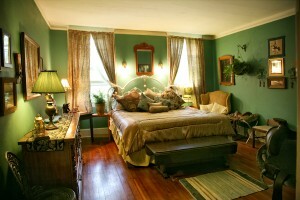 Space is limited; only 8 private bedrooms with private baths are available for each retreat week, so respond quickly! All retreats are 7 days and all-inclusive including chocolate and transportation to and from the airport (Greenville, SC (GSP) and Asheville, NC (AVL)), all meals, beverages, entertainment, evening activities, and field trips, plus many extra surprises! A day-only rate for those who will not be staying and eating at the inn is also available for those with local housing. Lunches with the group are included; dinners are extra. Note: Students in each class make all of the fan designs. It is the use of the 9 Degree fans that changes the thrust of each class. 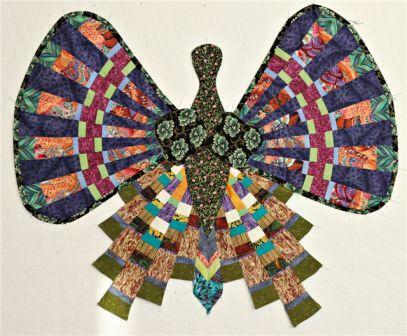 Marilyn will assist all students who take the 9 Degree Circle Wedge Fan Class Retreat to make their individual fans into any type of quilt desired – a collage of fans, flowers, and critters as desired! • Private Transportation to and from these airports, coordinated with your flight: GSP Greenville- Spartanburg, SC and AVL Asheville, NC. These are the two closest airports to Tryon. • Three (3) abundant gourmet meals and daily snacks. Marilyn and her staff will delight your senses with their healthy, delicious, visually sumptuous, abundant array of tasty delights. • Beverages – coffee, tea, hot chocolate, soda, and water. • Private baths (unless you select a shared room option – several rooms and beds are large enough to share if inclined). Discount of up to $400.00 available for shared booking. Come with your best friend or be adventurous and just sign up to share with a new friend you have yet to meet–let the universe arrange the perfect person. Save $300-400 each. 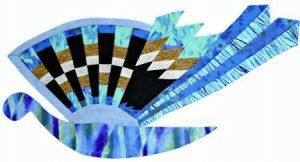 • Quilting instruction, inspiration, and personalized, individual attention from Marilyn. There are 8 dramatic one-of-a-kind themed bedrooms – each with their own private bath. 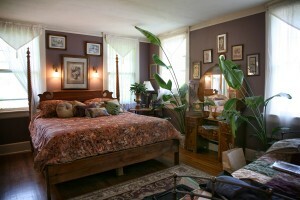 There are king, queen and double beds to select from or just pick a theme. We also now have Deluxe King and Queen room with first floor access. Each bedroom is a world unto itself! Deluxe King Rooms have first floor access, jacuzzi and fireplace. Deluxe Queen Rooms have first floor access, jaccuzi and fireplace. 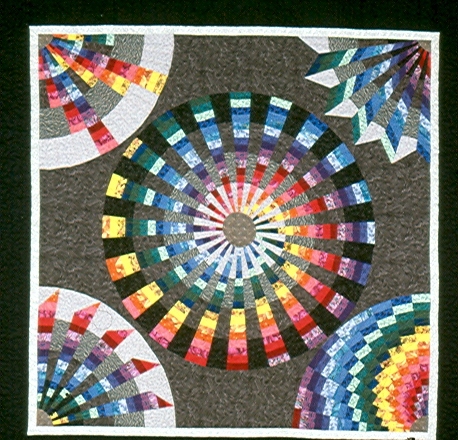 For commuting quilters, the rate for the course is $600. This includes all instruction for 7 days plus lunch. Breakfast and gourmet dinners with the group may be added. Breakfasts are $12 and Dinners are $20. Breakfast – Everything you would expect–and more. Each day features a different combination of yogurt, fruits, eggs, meats, and bakery. Hot and cold cereal is available if desired. Lunches – We will feature enticing flavorful salads and homemade soups, sometimes with sandwiches. There will always be an array of nuts, cheeses, artisan breads, and chocolates. Dinners – We will serve everything: beef, pork, chicken, and seafood, each featured on a different evening. Several fresh vegetables are provided and always a healthy carbohydrate or grain – often with added spices and seasoning for an ethnic flair. Desserts are decadent and every day is different! Ice cream, cookies, and chocolate are always available – and we do mean always. These are not desserts; they are staples and always available – any time of day or night – even if you have to wake someone up! NOTE: Food allergies and food preferences are gladly honored – please provide advanced notice. Be specific (detailed) with your needs, desires and preferences; we will comply. If you really love a specific food – tell us. If you really dislike something, let us know. If there is a food that is your favorite or one you always avoid just inform us in advance. Is there a dessert that sends you into BLISS? Tell us! Guests traveling internationally are encouraged to arrive (1) day, 24 hours prior to the first day of seminar start date. This is to allow for adjusting to jet lag. We want participants at their best. Upon arrival at these airports (GSP and AVL), you will be picked up and brought to the Inn, checked in and given a brief tour of the Inn. Food and beverages will be provided if desired. You will have “free time” to do as you like until dinner at 6:00 p.m.
You can select your sewing and set up. Marilyn’s Melrose Inn is filled with art! Everywhere you look there are striking paintings, beautiful objects, and unique works of all kinds. Entering the Inn, you will be pleased with the warmth and creativity of the decor. During your stay, you can investigate the game room, parlor, bar, and dining rooms. Each one begs to be explored and each will entice and enchant, there is so much to see. 6:00 – 8:30 a.m. Mornings begin with a full breakfast. 9:00 – 10:00 a.m. A new way to select and use fabric, with each day a different surprise! 10:00 – 12:00-noon Presentation of samples and techniques for the topic of the day. Students select their fabrics for the projects. Begin cutting and sewing. 1:00 – 5:00 p.m. Continued productivity, cutting, sewing, counter cutting and creating the fan-tastic fans, flowers, critters, and foliage as class topic dictates, using a staggering array of different techniques. 5:00 – 6:00 p.m. Show and share of the day’s accomplishments, with a brief introduction of tomorrow’s focus. 6:00 – 7:30 p.m. Dinner: gourmet and grand! 7:30 – 9:00 p.m. Evening program – each evening is quite different and each is guaranteed to be memorable and enrich your personal life – one way or another! You will have more fun than you can imagine. You will also be deeply transformed, touched, moved and inspired. There is actually a supply list for participation in the evening programs – imagine that! Guests love to sit and share on the porch. 9:00 p.m. – Morning Free time! If you wish to retire do so. If you want activities, the gardens and porch are just outside. Downtown Tryon is only three blocks away and we have a movie theater. The Game room is available for use or movie watching or you are always invited to keep sewing! Supply lists provided upon registration. This retreat will focus on learning to use Marilyn Doheny’s amazing 9 Degree Circle Wedge Rulers, all 5 sizes. We will be exploring over 20 different diverse techniques. Each student will make oodles of fans (oodles = over 20)! Each fan will be one of a kind. Numerous options for using the fans will be shown. Most likely the fans created will actually contribute to making over nine different quilt projects! owners will go home with all their sample fans made and be completely familiar with each technique. You will have photos of additional possibilities – from the other students – and enough class material to teach over 15 different class topics per year, for years to come! Week # 2 Instant Garden – Just Add Fabric! Seminar guests will be using Marilyn Doheny’s famous 9 Degree Circle Wedge Rulers, the smaller versions, called The Miniature Trio. Each student will make up to 6 – 8 different unique fans, then turn the fans into Dragon Flies, Flowers, and Butterflies. That productive frenzy of activity covers days 1-4. Day 5 is devoted to designing a unique garden setting using your garden elements. Days 6 and 7 are about making different foliage – simple to exotic, to show off the flowers: enhance and commingle all of the garden elements. This is when the magic happens! Each student goes home with their own Private Garden Of Delight! All inclusive and open sewing every day at normal room rates. No formal instruction sessions, but Marilyn will be at the Inn 24/7 and sewing herself…sharing meals as well as unstructured social evenings! Week # 3 Critters – Every Garden Needs Them! This seminar is just plain fun! Once again we will be using the Miniature Trio of 9 Degree Circle Wedge Rulers to make assorted fans using eight vastly different techniques. These fans become the elements for our Garden Critters. We will each make snails, moths, caterpillars, dragonflies, bumblebees, butterflies, birds, worms and Ladybugs. Perhaps several of each – with different fabric combinations and different fan wedge designs. Just selecting the fabrics for a caterpillar puts a smile on your face. 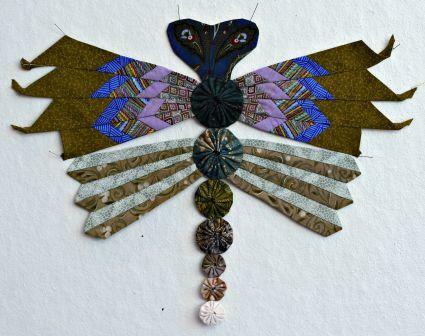 It is impossible to make caterpillars and not feel lighthearted, silly, and happy…just as it is always exquisitely magical to make a Dragonfly. Most students make several Dragonflies; it is soothing and addicting. 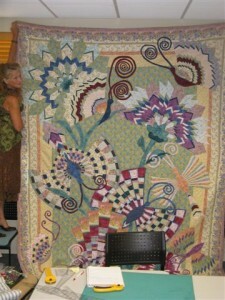 How about a very hungry caterpillar quilt. By the way, snails do not mate! To register or for more information, call 828-859-0234 or email us.